23,126 Records Added in March 2016! And come back periodically to see what's been added! While viewing our content and searching our database, please keep in mind that this is a work in progress. For example, when we launched in late 2014, we were able to provide only 1851 and 1861 Census data for 7 New Brunswick counties. 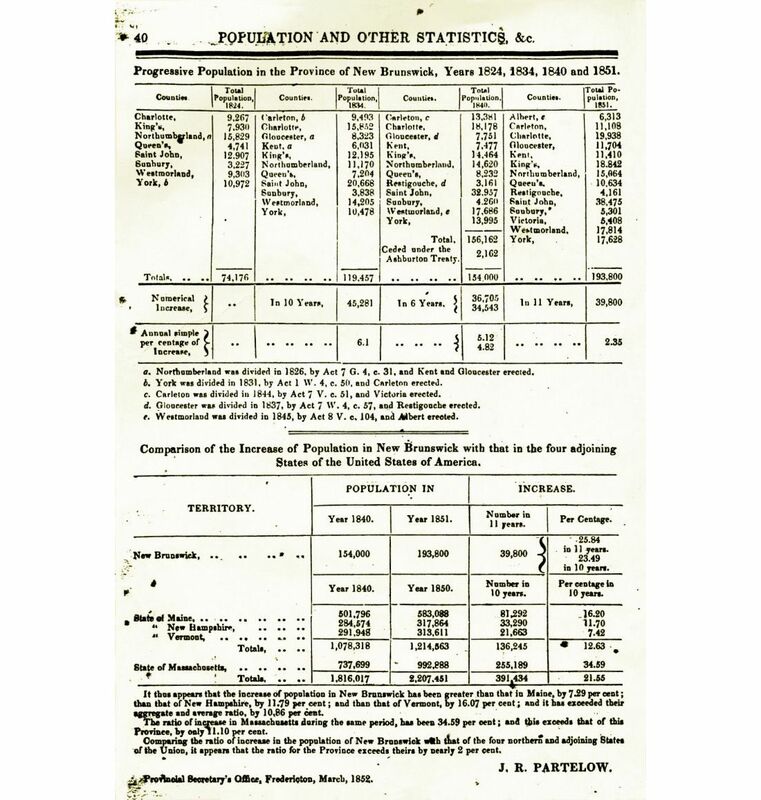 We are pleased to now say that 1851 and 1861 Census data for all 14 counties were made available as of March 2016. Search for ancestors and make inter-connections among the 14,304 census records for 1851 and the 15,230 records for 1861. 134 Scots immigrated to New Brunswick aboard The Favourite in 1824. Names on this list also appear in other data sources. Names of 1,043 Scots who petitioned for land after settling in New Brunswick, many of which did not survive to be included in the 1851 census. Search among the 119 members of 18th century 42nd Highland Regiment, most of whom settled along the Nashwaak river. James Brown's diary contains interactions with 90 New Brunswickers of Scottish descent. His writings provide valuable insight into the lives of many. The petitions by these 185 Scottish teachers provide an intimate glimpse into the individuals and their personal circumstances. Tireless research performed by professionals and volunteers. 31,134 records are available for searching in our database today. Two censuses, teacher and land petitions, a diary, and more. New Brunswick has a rich Scottish History. One of the purposes of this project is to explore that history and document as much of it as we can. 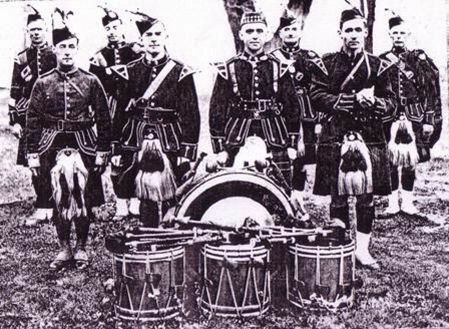 During the research, the NB Scottish History advisory committee discovered many untold stories from different families and individuals who came to New Brunswick in the early to late 1800s. The committee could not allow those stories to go untold. This project is far from over, and will continue as long as funds can be raised to expand the content.